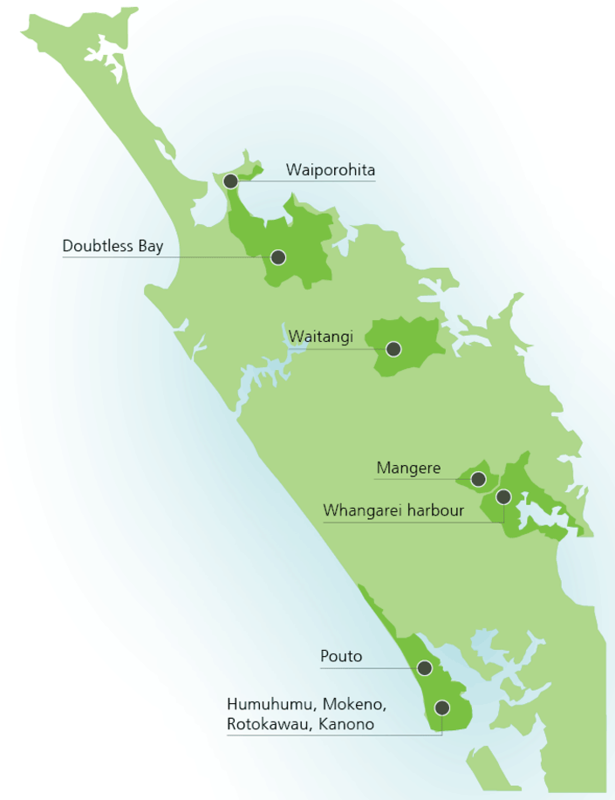 Northland Regional Council's regional plans have been rewritten. This will affect the way you farm in the future. Find out what you need to do and how you can have your say. What does a Northland farmer need to know about the proposed Regional Plan? The current Regional Rules have been rewritten by the Northland Regional Council. A new proposed Regional Plan was notified on 5 September. This may impact your farm business. You need to be aware of the process and be prepared to comment on the new plan (by lodging a submission by November 15) if you consider the proposals will adversely impact your farm business. You can read the proposed plan and make a submission here. What do farmers need to DO? NOW: Comply with Fonterra and NRC existing requirements - e.g. Farm Dairy Effluent compliance, stock exclusion. Consider the need to submit on the proposed regional plan by November 15 - it’s really important. DairyNZ will make a submission but there may be other factors that impact your farm business that we do not submit on. IN THE FUTURE: Comply with new requirements under the new plan. Elevated levels of nutrients in the majority of lakes (and in some rivers). Poor information on how much, and how efficiently, water is used. Over time, this will cover your young stock and other cattle on runoffs and leased grazing land, and also all permanently flowing streams, lakes (greater than 1 ha in size) and wetlands. See C.8.1 (p. 151) of the proposed plan. If you have an existing water take (as at September 2017), you may continue to take up to 50m3 per day as a Controlled Activity (you must apply for a consent within 12 months of the proposed plan taking legal effect. The council must grant controlled activity consents). For new water takes, you may take up to 200 l/ha/day as a Permitted Activity (no consent required), up to 20m3/day, providing the take is not from a fully allocated river or aquifer, or from a coastal aquifer (up to 1m3/day allowed). Conditions will require that farmers stop taking water when minimum flow rates are reached. It will be very difficult to get resource consent for new water takes in some catchment where flow is fully allocated. not within 10m of a natural wetland, river or lake bed and up to 200 m2 of earth at any one time. Other permitted conditions for location and amounts of earthworks are on p.154 of the proposed plan. Cultivation is not within 5m of a natural wetland, bed of a lake or permanently or intermittently flowing river or stream or ephemeral (flows after rain) watercourse. Other permitted conditions for location and avoiding effects on the environment are on p.153 of the proposed plan. Small dams are permitted for the creation of wetlands, hydrological monitoring or stock drinking. Other permitted conditions are listed under C.3.2 (p.90). Taking of water from an off stream dam is a permitted activity. Permitted providing there is no contamination of streams, rivers or aquifers. certification required from an engineer to confirm compliance with the above on request from the council. Consent still required for direct discharge of treated effluent to water (discretionary activity – consent can be granted or declined). Untreated discharge to water – will still be prohibited. An erosion control plan is required in the Doubtless Bay, Waitangi, Mangere and Whangarei catchments, otherwise consent is required. The proposed NRC Regional plan does not place farm-wide, diffuse N loss limits on farms at this stage. Who has been involved so far? A 'Dairy Industry Liaison Group', comprising farmers, Fonterra, DairyNZ, Federated Farmers and Farmers of NZ have met with council staff throughout the process. Dairy farmers are involved in each of the priority catchment community groups. DairyNZ water quality scientists have assisted the NRC technical review of the status of water quality. Any new plan must be based on the best science possible. Find out how DairyNZ is working with councils, farmers, and authorities in your region to help ensure sound policy development. A guide to good environmental management on dairy farms.